Snippets of Jack: "The Captain of this ship is giving orders." After returning from the dead Jack Sparrow resumes control of his beloved Black Pearl..or at least he thought he was in control. Insert Hector Barbossa. Of course he also assumes he has control over the Black Pearl, and we get to see an amusing argument between our two favorite Captains of the Black Pearl. Barbossa: "What are you doing?" Jack: "What are you doing?" Barbossa: "No, what are you doing?" Jack: " What are you doing?" 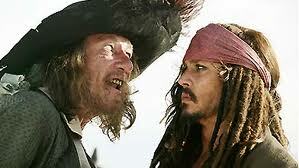 Barbossa: "No, what are you doing?" 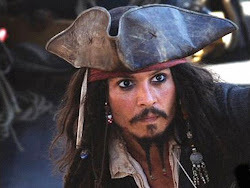 Jack: "What are you doing…er, captain gives orders on the ship." 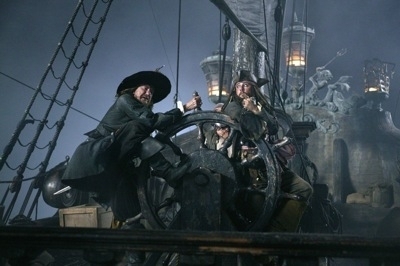 Barbossa: "The captain of this ship is giving orders." Jack: "My ship, makes me captain!" 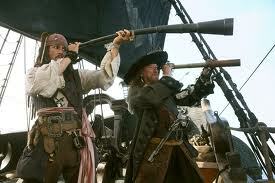 Barbossa: "They be my charts." Jack: "Well, that makes you…chart man!"